You can't beat a good pair of shams. They're a basic part of bedding, but with touches like calendering and a variety of colors to mix and match with your current bedding set, this pair of shams will always make a good night even better. 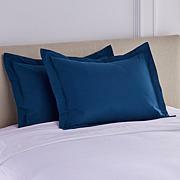 I love this along with my leopard down comforter! These shams I got in standard in LEOPARD. Came back for 2 more however leopard sold out, so getting the tan to coordinate. 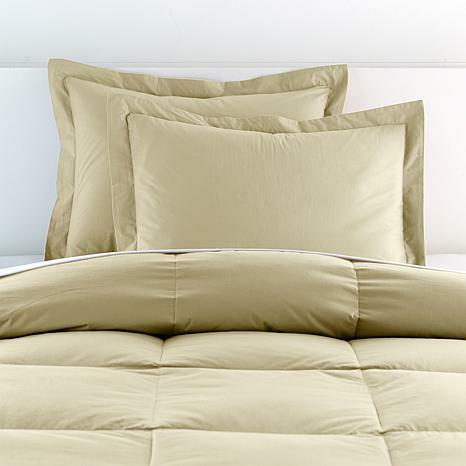 The fabric of the shams is very soft crisp cool....even nicer than matching down comforter. Ck out the comforter!...all down feathers, no prickly feathers! Good all-year comforter. Amazing purchases!!!! And I'm ULTRA PICKY ABOUT MY BEDDING. Love these shams. Fit well.